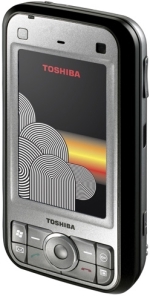 Some Toshiba Mobile Manuals PDF above the page. Toshiba, a world leader in high technology, is a manufacturer and marketer of advanced electronic and electrical products, spanning information equipment, communication systems, solutions and services based on Internet technology, electronic components and materials, industrial and social systems work with infrastructure and household appliances . The early history of Toshiba has two banks: in 1875 was established by Tanaka Seizo-sho (Machine Building Plant Tanaka), Japan's first manufacturer of telegraph equipment. Its founder, Hisashige Tanaka (1799 - 1881), has been known since a young age, for his inventions that included mechanical dolls and endless hours. Under the name Shibaura Seisaku-sho (Machine Building Plant Shibaura), his company has become one of the largest Japanese manufacturers of heavy electrical equipment. In 1890, Hakunetsu-sha and Co., Ltd. He became the first plant in Japan, which manufactures electric lamp shining. Further innovations in the company showed that the company has evolved as a manufacturer of consumer products. In 1899, the company was renamed Tokyo Denki (Tokyo Electric Co.). In 1939, these two companies, leaders in their respective fields, merged to form an integrated electric equipment manufacturer, Tokyo Shibaura Denki (Tokyo Shibaura Electric Co., Ltd.). The company was soon known as 'Toshiba', which became its official name in 1978. 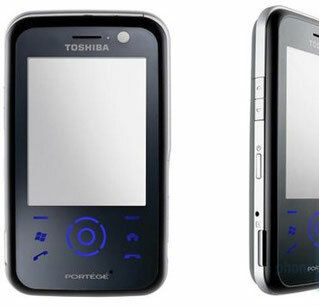 In 2007, the exhibition 3GSM company Toshiba was represented by two first smartphone communicator Toshiba Portege G900 and Toshiba Portege G500. Read - SANYO Mobile Phone Manuals PDF & History.